Patients wishing to register with our practice may approach our receptionists who will guide them though the registration. DN1, DN2, DN3-1, DN3-2, DN3-3, DN4-5, DN4-6, DN4-7, DN4-8, DN4-0. In November 2018 the practice registration scheme and catchment area changed slightly. We are now free to register new patients who live outside the practice area, however, we are unable to provide home visits. For more information please visit the out of area scheme tab above. All patients registering with the practice will be given a registration pack. This includes a health questionnaire and various other forms for completion. We ask that these forms are fully completed to ensure the smooth progress of registration. Please note - incomplete forms can delay registration. Patients will be asked to provide a utility bill for the address they are registering at and also some form of identification, preferably a passport or driving licence. At the time of registration you will be asked to attend a health check with the Nursing Assistant, where current medications and ongoing problems/conditions will be recorded. 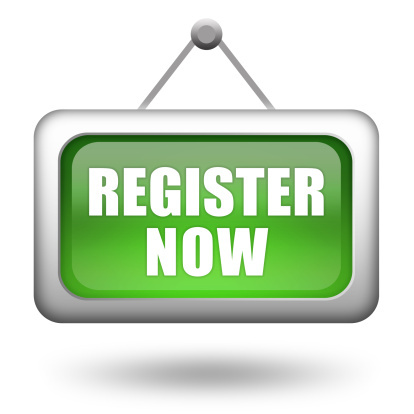 Patients wishing to register with the practice should click on the link below to download the practice registration form. Once completed, the forms can be printed and handed into reception. If you change your name, address (including postcode) or telephone number please notify the surgery as soon as possible. If you would like to change any of your personal details such as address/name/phone number you will need to do this in writing or via email. It is very important that you let us know promptly of any changes. This is to ensure the information we hold on our system is as accurate as possible. If you are changing your name you will need to bring proof of identity before we are able to action this change. Please note – if you have changed your details with another service this does NOT mean your details will be changed at the practice. We’re delighted that you would like to register with us. Thank you for showing an interest. In November 2018 the practice registration scheme changed. Our practice catchment area changed slightly and we are now free to register new patients who live outside the practice area. Whilst we are permitted to register any patient from across England, we recognise that it’s not always in your interest to register at The St Vincent Practice if you live a long way from us and have complex care needs. Therefore, we review every registration of a patient who does not live in our practice boundary area to ensure that we can give you the best possible care we have to offer. Where we feel that we cannot provide this high level of care, we reserve the right to decline your application to register with us so that your needs can be more appropriately met closer to where you live. Unlike other healthcare providers, we do not have an extensive list of healthcare exclusions. We review each patient case by case to ensure that the care we offer you is appropriate for your needs. How will I get my prescriptions? Here at The St Vincent Practice we are very technologically enabled. We can send your prescriptions to any pharmacy in England who are also linked to the NHS electronic prescribing system (EPS). Unfortunately, not all medicines can be sent electronically via EPS and so what we can prescribe you is impressive but limited and may mean that for some items you will have to attend the surgery to pick up a paper prescription. How will I get a home visit? We are unable to provide home visits for patients who are registered with us on the out of area scheme. If you need a home visit, you will need to call 111 and explain that you need a home visit as part of the out of area scheme. What about referrals to hospital? Patients in England are entitled to be referred to any hospital they like that is able to provide them with the appropriate care that they need. Patient choice is enshrined in the NHS constitution. If you would like referral to a hospital close to where you live, then just let us know.